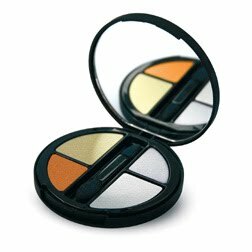 For a belated birthday present I was given Jemma Kidd's Make Up Schools Metallica Colour Quartet. 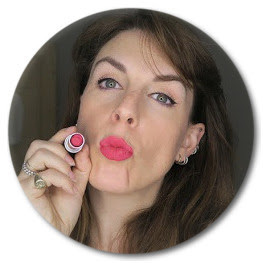 I have to admit that I've never tried any Jemma Kidd make-up before so not only was I touched that my friend had gone to so much trouble to find the perfect make-up for me (metallic is definitely my kind of make-up) but intrigued to try out the brand. First off, first impressions and I love the packaging. It's fun without being too OTT. Sometimes I feel companies over emphasise the girliness off products which I don't need - I think I qualify as a woman now so everything does not need to be pink and cartoony! The actual eye creme comes in a lovely matte, rubberish feeling compact which is great! I'm also not a huge user of cream eyeshadows so that was a pretty new experience too. The colours in this are really versatile - silver, gold, bronze and pewter - suitable for day and night and really easy to apply and build up depending on how subtle you like your eyes to be. I did find that they crease a tiny bit but in a sort of blending way so it wasn't at all noticable unless you are scrutinising your eye lids in a mirror after a night out. This is a great present idea for the make-up fiend in your life or a treat for yourself as a treat for the pre-Christmas parties. Available online from SpaceNK it is £23.49 but a little goes a long way. For four different colours I think this is a pretty good deal!